6" Connection Pro Series. 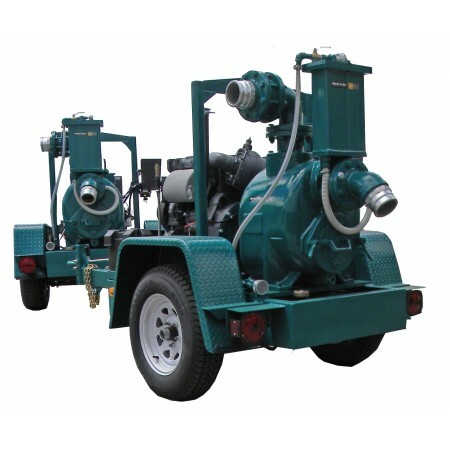 Pump up to 1600 GPM and up to 130 ft. of head. 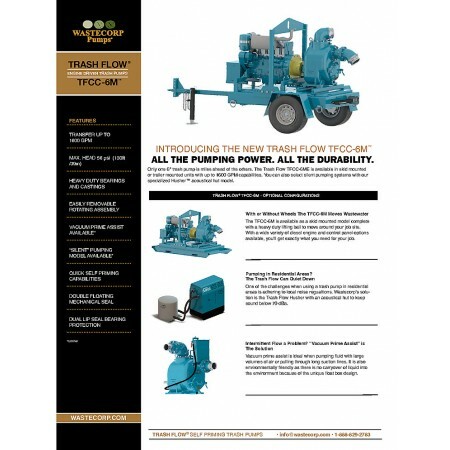 The Trash Flow TFCC-6M is available in skid mounted or trailer mounted units. 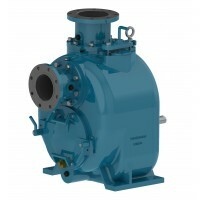 You can also select silent pumping systems with our specialized Husher™ acoustical hut model. 6" Connection. 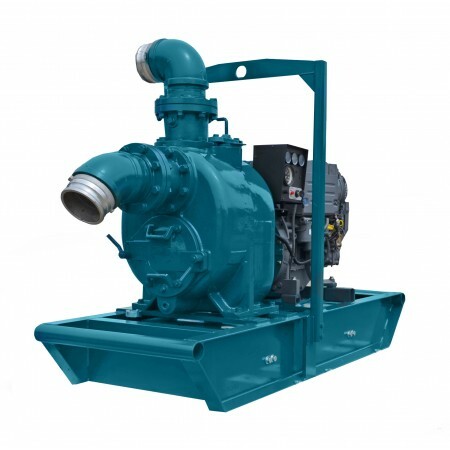 Pump up to 1600 GPM with solids handling up to 3" and max discharge head to 130 ft. 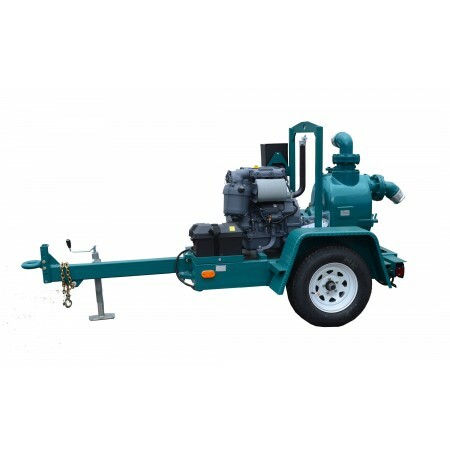 The TFCC-6M is manufactured by Wastecorp with among the shortest lead times in the pump manufacturing industry.With or Without Wheels The TFCC-6M Moves Wastewater The TFCC-6M is available as a skid mounted model complete with a heavy duty lifting bail to move around your job site. 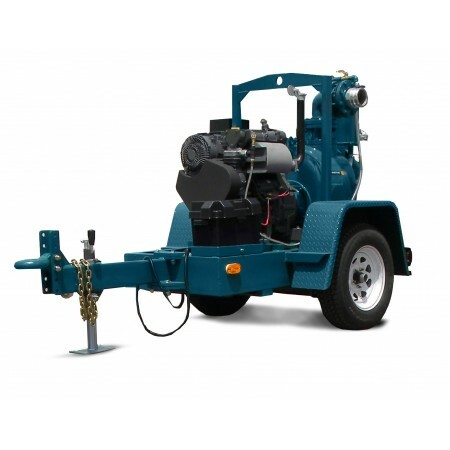 With a wide variety of diesel engine and control panel options available, you’ll get exactly what you need for your job. 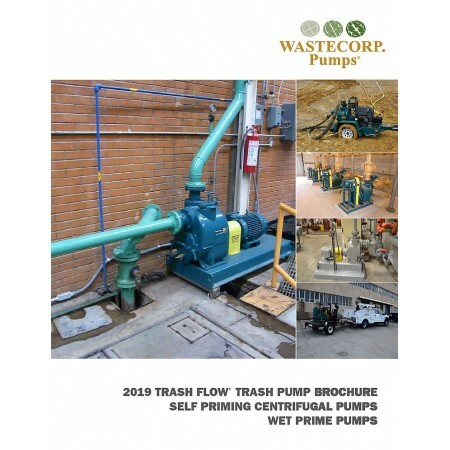 The Trash Flow Can Quiet DownOne of the challenges when using a trash pump in residential areas is adhering to local noise regulations. Wastecorp’s solution is the Trash Flow Husher with an acoustical hut to keep sound below 70 dBa. “Vacuum Prime Assist” is The Solution. 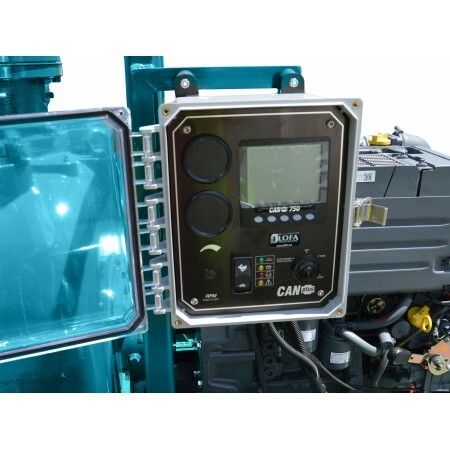 Vacuum prime assist is ideal when pumping fluid with large volumes of air or pulling through long suction lines. It is also environmentally friendly as there is no carryover of liquid into the environment because of the unique float box design.